Entrepreneurs and enterprise leaders alike recognize the importance of innovation, but few harness it effectively. Bob Moesta helps make it more predictable and successful. Among the principal architects of the Jobs to be Done theory in the mid-90s along with Harvard Business School Professor Clayton Christensen, Moesta has continued to develop, advance and apply the innovation framework to everyday business challenges. Currently president and cofounder of The ReWired Group, a Detroit, Mich., business development consultancy and innovation incubator, he is also a an adjunct fellow at the Clayton Christensen Institute. A visual thinker, teacher and creator, Moesta has worked on and helped launch more than 3,500 new products, services and businesses across nearly every industry, including defense, automotive, software, health care, web services, financial services and education, for which he has a particular affinity: his forthcoming book, co-authored with education innovation expert Michael Horn, “Choosing College: How to Make Better Learning Decisions Throughout Your Life” (2019), applies the Jobs theory to transforming higher education for the needs of today’s learners. The authors help colleges answer the all-important question, “why are the students coming?”, and provide actionable solutions for helping students, parents, and institutions make progress in a more guided and purposeful fashion. The Jobs to be Done theory is just one of 25 different methods and tools he uses to speed up and cut costs of successful development projects. 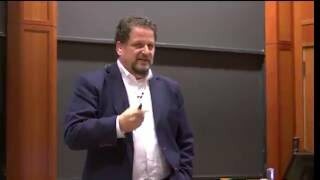 He is a guest lecturer at The Harvard Business School, MIT Sloan School of Entrepreneurship and Northwestern University’s Kellogg School of Management. Moesta is an entrepreneur at heart and engineer by training. He has started, built and sold several startups. Moesta started out as an intern for Dr. W. Edwards Deming, renowned statistician and father of the quality revolution. He traveled to Japan and learned first-hand many of the lean product development methods for which so many Japanese businesses, including Toyota, are known. In recent years, Moesta has turned his Jobs to be Done and demand-side innovation research toward education with the goal of helping transform the public education system into one that is more student-centric. A lifetime learner, he holds degrees from Michigan State University and Harvard Business School. He has studied extensively at Boston University’s School of Management, MIT School of Engineering and is working toward a Master in Design from Stanford University’s “D” School. Bob Moesta is available for paid speaking engagements, including keynote addresses, speeches, panels, and conference talks, and advisory/consulting services, through the exclusive representation of Stern Speakers, a division of Stern Strategy Group®. What Job Did You Hire Your Job To Do? Would You Do This to Boost Sales by 20% or More? Innovation – new products, new services, new markets – is the real growth engine for most companies, big and small. But despite all their resources, sophisticated processes, expansive consumer research and deep expertise, most companies end up managing innovation like it’s simply a game of luck. Don’t settle for probabilities. This is not a process management problem. You need a different and better way to uncover what consumers really want, answering what jobs they need done, and to translate it into design requirements the rest of the organization can understand and act on. 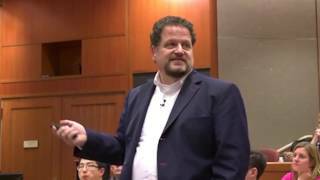 Bob Moesta, one of the original architects of the Jobs to Be Done theory with Harvard Business School Professor Clayton Christensen, discusses the basics of the theory that can transform your company’s innovation from hit and miss to predictable successes. He brings it to life with real examples and stories from diverse industries (both B2B and B2C), as well as every day life. Moesta focuses not only on unpacking the power of Jobs to Be Done, but he also offers actionable tips that enable you to immediately start thinking differently, and apply the framework to their personal lives as well as the businesses they work in. *Moesta also offers an option to interview a customer or attendee live as part of his talk to demonstrate the theory in action.